Finally! You Can Have The Wedding Of Your Dreams Regardless Of Your Budget! Wedding On A Miniscule Budget! Youve envisioned how your day will begin, with your maid of honor and bridesmaids there to support you every step of the way.. laughing with excitement as you have your hair and makeup done, knowing that within just a few short hours, you will finally marry the man of your dreams, and start a brand new chapter of your life, one that will be the longest and most fulfilling journey youve ever taken. Discover Exactly How You Can Have The Wedding Of Your Dreams Without The Hefty Price Tag Of A Luxury Wedding! 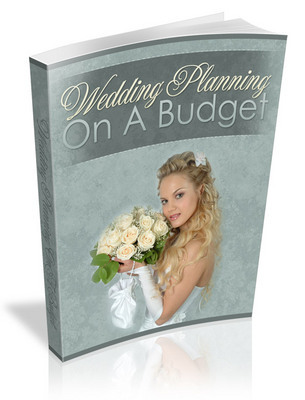 Saving Up To 75 Of Your Wedding Planning Costs! It certainly isnt the way that I wanted to start mine, and so I hired one of the best (and most expensive) wedding planners in my area. What I discovered however, is that the tactics they use to save money when speaking with vendors and negotiating deals were downright simple! Had I known how to talk the talk and present my offers and ideas in a way that wedding planners do, everything would have been so much easier.. AND I would have been able to save the $7,000 I spent on the wedding planner! I decided to write down everything I learned so that other brides could spare the costs of hiring a wedding planner and still down on the costs of their weddings.. even as much as 75! I am that confident that my wedding planning blueprint will help you plan out every detail of your wedding at a fraction of the price, that I am able to offer this guarantee knowing that its very unlikely you will ever want a refund, because these techniques actually work!